This is our Turkish Delight jewelry which has been handcrafted out of a lightweight silver alloy. It does not tarnish, nor does it turn your skin green! The Elephant Necklace has a 30" chain. The elephant itself measures 2" high and 2 3/4" wide. The ring is adjustable and the elephant head is 1 1/8" long. 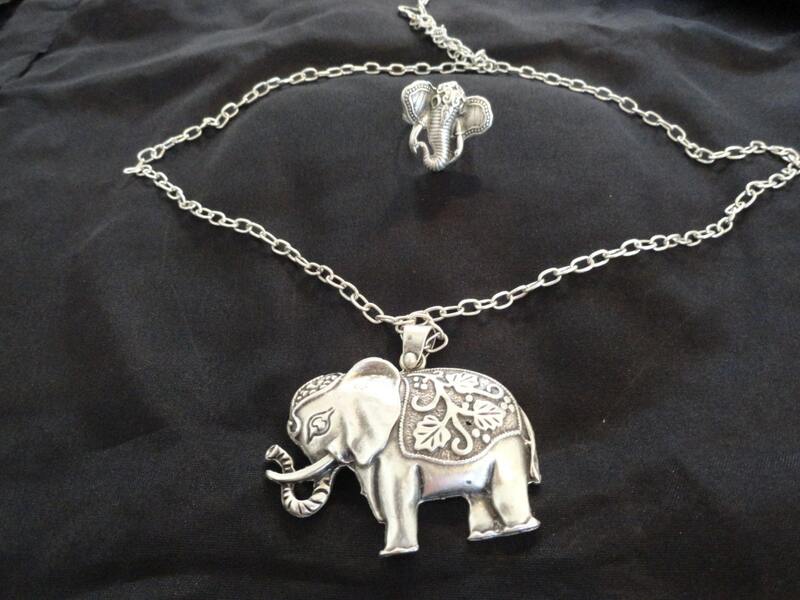 We have numerous styles and sizes of elephants, drop us a line if you don't see them.